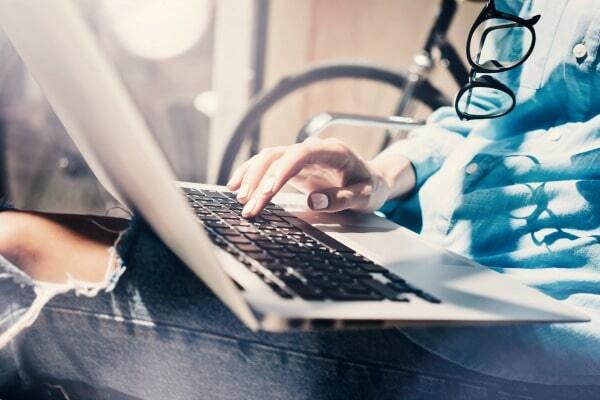 Email is Still the #1 Way for You to Engage with Your Audience + Promote Your Offerings – But What if Writing Emails isn’t Really Your Thing or You Just Don’t Have the Time? No Worries! My 100 Done-for-You Email Templates Make it Super Easy for You + Your Team to Stay in Touch with Your Tribe and Promote Your Offerings! I’m sure you already know the importance of email marketing in your business – but let’s face it, it’s not always easy knowing exactly what to write to your tribe (plus, you’re always so busy with other things and sometimes, your peeps don’t hear from you for a long time – eek!). So you know you have to do it. It’s really not negotiable. I mean, how else are your clients going to know about your latest program, or new blog post. Thing is, there are soooo many more different types of emails besides your “monthly newsletter” that need to be written and set up in your autoresponder and shopping cart. There’s thank you for signing up emails, thank you for buying emails, new affiliate sign up emails, special offer emails, cart abandonment emails, FAQ emails – and the list goes on for days. So yeah…email marketing does require time + effort from you, and paying a writer to do it for you can really add up. 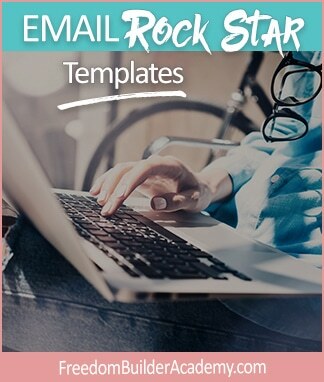 Which is why you’re going to LOVE this amazing Email Rock Star Templates package that you and your can use to in your business (or you can even use these with your own paying clients to help them in their business). You or your assistant can pull out these templates, tweak them for your purposes, and send to your list or load up to your autoresponder, cart, etc. When your subscribers and prospects first join your mailing list, they’re going to be a little clueless (but hopefully curious) about who you are and what you can do for them. The sequence welcomes your new subscribers and educates them about what you can do to help them solve their problems. Not everyone responds to every emotional trigger in the same way. That’s why you should develop an email series that taps into the different emotional triggers of your clients and leads. If you want to have a high-performing affiliate program with affiliates who’re constantly promoting your stuff, then you need to stay in touch with your marketing partners. This email series will help you welcome new affiliates and motivate them to promote your products. Some of my favorite types of emails are those that are part content and part pitch. This makes them “useful yet incomplete” – the content helps solve part of a problem, while the product you’re promoting solves the rest of their problem. End result? You build a good relationship with your prospects, solve their problems, and generate some sales for yourself! This is an awesome awareness email series that will help you to introduce your leads to ten of your top products or services. Once you’ve turned a prospect into a cash-paying customer, your next job is to turn them into a repeat buyer. That’s what this email series does! It helps you lead your new customer to more offers and higher-priced offers. Want a simple way to start getting a higher response rate from your list? Segment your list by demographics, interest and behavior (such as which products they download or buy), and then write highly targeted emails to these different list segments. That’s exactly what this set of email templates will help you do! Sometimes you just need one quick email to send out to your leads, customers, affiliates, etc. That’s what you’ll find inside this collection of emails. From abandoned-cart emails to flash sales, social media, referral, FAQ, freebie giveaway, and more! You’re sure to find several templates to meet your needs. This email series is all about giving your prospects some really good information, such as a set of tips, secrets or steps for completing some process. Each email will also promote a specific product that’s related to the content. In essence, your emails will be “useful yet incomplete,” so that prospects will take a look at your paid offers to solve their problems. Sometimes your list goes cold, such as if life happens and you weren’t able to email for several weeks. In other cases, you may just have one segment of your list grow unresponsive, perhaps due to you not sending them anything to really engage them. This re-engagement email series can help you warm up your list and get them clicking on your links again. Sometimes you want to extend a very special offer to your prospects and customers to drum up sales. These special offers might be “no brainers” to turn prospects into customers, or they might be special offers to turn customers into repeat buyers. Either way, you’ll find a template in this set to meet your needs! Sometimes the best way to generate a sale is by directly pitching an offer. You might share the benefits of a product, or you give your peeps a special deal. This set of email templates are a great starting point for creating your own direct-response emails. Use these templates yourself to you create an abundance of awesome emails for your list. Give these templates to your virtual assistant and other team members to help you create amazing emails for your business. Use these templates to help your own paying clients create amazing emails for their business. Get the Templates Now for Only $197! Can I Give these Templates to My Assistant? Yes. You have permission to give these templates to your assistant and other team members to work on your business projects for you. I’m Not Ready to Hire an Assistant - Can I Still Use these Templates? I’m Not Ready to Hire an Assistant – Can I Still Use these Templates? Absolutely! You can use this for your own personal use to help you fast-track a business project or task. You’ll save so much time + energy by using all the items in this package. Are the Documents Editable or Are They Only in PDF? All of the documents included in this particular package are in PDF format only. I’m a Virtual Assistant - Can I Use these Templates to Help My Clients? I’m a Virtual Assistant – Can I Use these Templates to Help My Clients? Yes. You have permission to use these templates to help your clients. Using these templates will make your job so much easier + a lot more fun when you don’t have to create things from scratch (like thinking up and writing all those social media posts for your clients). Is this Private Label Rights Content (PLR)? NO. You do NOT have permission to resell these templates in any way to your customers or clients. You can NOT give these templates away for free. These templates are intended for internal use within your own business. Use the templates yourself in your business. Give them to your virtual assistant and other team members to work on your business projects. Use these templates to provide services to your own paid clients. Resell these templates in any way to your customers, clients, or members as this is not PLR. Give these templates away for free.